More than 2300 years ago, the great philosopher Plato said, “Music is a more potent instrument than any other for education, and children should be taught music before anything else.” Although this is true, the power of music doesn't stop with education. It's also used to harmonize our minds and bodies through the therapeutic use of music. In 1998, The American Music Therapy Associaation (AMTA) was founded to research the therapeutic use of music in rehabilitation, special education and community settings. One study, published in the Journal of Music Therapy, found that premature babies in intensive care who were exposed to music were calmer and used oxygen more efficiently. The babies also gained weight faster and required shorter periods of hospitalization. Soothing music was key in helping five-year-old Adam. About three months ago, Classical Cradle received a letter from a mother of an autistic son. Adam needed surgery to correct his vision, but there was a dilemma. It was difficult to prepare him for this procedure since he comprehends differently than non-autistic children. As the day of the surgery approached Adam became hyperactive and extremely anxious. Consequently, Adam required a sedative as he went into surgery. After surgery, Adam's mother did what her music therapist had suggested. She played quiet music as often as possible. She used her walkman to play the tranquil Classical Cradle music to Adam in the recovery room. Not only did the music help comfort Adam after surgery, but also soothed him so much that the nurse did not need to administer any further sedatives. She thanked Classical cradle for its' serene medleys that helped “reduce the trama” to her son. It is indeed a new millennium, and it's good to know that children's music is alive and well. We tossed and turned, listened and learned, and one by one the contestants were voted off until 15 survivors remained. Kudos to the talented writers, performers and producers who participated in this year's contest. Classical Cradle. This collection of lullabies is soothing, calming, and comforting. If anything can make the experience of watching your newborn fall gently into a deep sleep even more enjoyable and rewarding, this CD is it. Hush, little baby, don't say a word. Papa's gonna buy you a mockingbird. Singing the baby to sleep has benefits for the singer, too. It's a time to slow down and relax, to recover from a busy day and re-energize for the next. It makes you feel good. Few parents and caregivers would disagree that crooning to baby at bedtime is a good thing, but we can't be there every time our babies go to sleep. Fortunately, a wealth of recorded bedtime music is available. The collections range from traditional to classical to New Age; vocal and instrumental. One unique recording, Daddy's Lullabies, features lullabies sung by fathers, as well as a daddy/daughter duet. 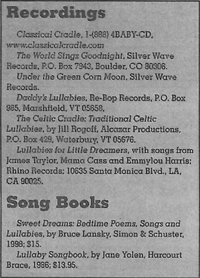 Among the excellent CDs available are The World Sings Goodnight I and II, produced by musician Tom Wasinger. More than 30 cultures are represented, from Brazil to Bali. Wasinger also produced a collection of lullabies from Native American cultures, called Under the Green Corn Moon. Now a father of two, Wasinger says his interest began before becoming a parent, because the lullaby is an essential folk music form. “Wherever I went, people could sing me a lullaby in their language,” he says. The lyrics he found ranged from serious to playful, and included themes that were humorous, plaintive, teasing and even political. In a lullaby from Indonesia, a mother pleads with her infant son: “Sleep and grow up well, honey, so that you can protect me later, because you father has gone away and forgotten you.” In a French lullaby, the singer teases: “Go to sleep, my child, to the sound of the clarinet; to wake you up we'll cut off your ears!” A song from Bolivia mourns the plight of poor children on the streets of San Juan. After spending two years gathering lullabies, and many evening singing his son and daughter to sleep, Wasinger has discovered the lullaby's other essential qualities. “The lullaby serves a purpose that borders on survival. If the baby doesn't sleep, you don't sleep, and then you aren't going to have enough energy to do what you have to do the next day,” he says. Singing quietly to your baby at the close of the day is an experience to treasure, especially in a world of busy schedules and frequent separations. Whether we hum our favorite traditional tunes, croon the words of our grandmothers, or make up our own soothing nonsense, we are strengthening the bond that defines and supports our families. Research shows that babies benefit physically and mentally from the tranquil refrains of classical music. Your little Mozart can sit back and enjoy wonderful sounds of Classical Cradle, a new CD of lullabies for infants by long-time piano teacher Lisa Colantuono. The soothing CD focuses strictly on classical music played on the piano. Colantuono got the idea for the CD after learning that she could quiet her cousin's screaming baby by simply playing the piano! BAY SHORE - Two years ago, Lisa Colantuono quieted her cousin's screaming baby by playing the piano. 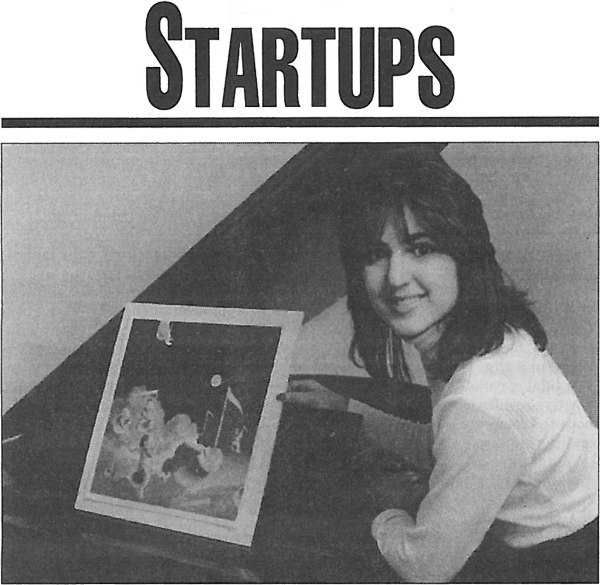 As the child fell asleep, Colantuono was awakened to a business idea: Classical Cradle. Moving ahead with the plan last summer, the long-time piano teacher has combined her love of classical music and children with her advertising know-how to form the start-up company making CDs and cassettes of classical piano lullaby music for babies. As an advertising instructor at New York institute of Technology with an undergraduate degree in advertising and a master's in communications arts, Colantuono says her business is dedicated to assisting and encouraging parents to expose their children to classical music at the beginning stages of life. “I enjoy teaching kids piano. I enjoy music. I enjoy kids. So I've rolled it all into one.” The business will be home-based and Colantuono will be the only employee. But she doesn't take credit for the “baby music” concept. She says it has been around for about a generation. And, of course, mother's lullabies have likely been with us for eons. Colantuono says that child development research has shown that babies benefit physically and mentally from the tranquil refrains of classical music. Colantuono said that Classical cradle music offerings will consist of 30 to 45 minutes of lullabies for infants. “All of the music will be strictly classical and the lullabies will be played not he piano.”She will do the piano playing and is still in the process of recording the music. No other instruments or vocals will be used. 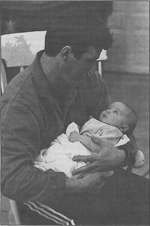 The CDs will be composed of nine sets of melodies and “at least 75 percent of all songs used will be recognizable.” Among the selections will be Brahm's Lullaby, moonlight Sonata, Fue Elise, and Canon in D.
There are also a number of people who advocate the playing of classical music in the presence of babies. One of the more prominent is Zell Miller, the governor of Georgia. Last summer he was instrumental in having a classical-based CD (Build Your Baby's Brain) distributed to schools throughout the state. As part of his state budget, he worked to ensure the availability of $105,000 so that each newborn child in the state would be sent home from the hospital with a CD or tape of classical music. According to Don Campbell, author of The Mozart Effect, classical music can make babies smarter. He cited 1993 research where two scientists found that college students who had listened to 10 minutes of Mozart's Sonata in D scored 10 points statistically higher in spacial IQ than when tested with 10 minutes of silence. Scientists believe that music stimulates increased brain activity, which helps the brain's mental circuitry - the electrically-charged nerve cells called neurons - to develop the brain more fully through the age of 10. Colantuono's love of music and its potential power are in evidence on both sides of her business card. The reverse side bears a message she wrote. It reads “Feed a baby's mind. Enrich it. Strengthen it. Stimulate it. Einstein knew it. Galileo knew it. The Power of Music. It's Miraculous.” The front is adorned with the black and white keys os a piano keyboard. Colantuono estimates start-up costs at about $10,000. Colantuono will finance it with personal funds and a small bank loan. She's aiming to launch the business about May. With plans to market the CD's through retail outlets such as baby shops, gift stores and florists. Colantuono will also try to market through hostels, Lamaz classes, direct mail and an Internet Web page. Glowacki and the other staffers help provide start-up clients with management and technical assistance, encompassing such areas as organizational structure, financial planning, cost analysis, financing strategies, and loan information assistance. There are no charges for counseling. Since its inception 10 years ago on the Stony brook campus, the SBDC has served close to 7,000 aspiring small business entrepreneurs, said judith McEvoy, the SBDC director. The SBDC specializes in providing direct one-on-one counseling and offers training and instructional seminars tailored to the needs and interests of already established business people. In addition to helping entrepreneurs get established, SBDC strives to bolster productivity and profitability, all of which helps bolster state and local economies.